Location: Combefa, in the Meurthe-et-Moselle departement of France (Lorraine Region). 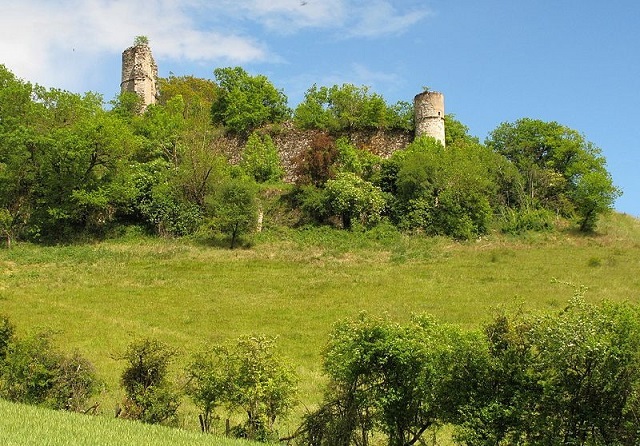 Notes: The castle of Combefa is a medieval fortress on the commune of Combefa, in the Tarn.Built in the 13th century to protect the road between Rodez and Toulouse, the castle became the property of the bishops of Albi who used it as a summer residence. Louis I of Amboise, bishop of 1474 to 1503, decorates the chapel built in 1490 of a tomb in polychrome limestone. In 1761, the archbishop of Choiseul received permission from the king to move to Albi the materials to renovate various buildings. This is the end of the castle.